Hey, y'all! I have a really quick and easy tutorial for you today. I confessed my stereotypical Southern love for monograms a couple of weeks ago when I showed you how to create a monogrammed t-shirt, and I warned you that I wanted to monogram everything. Well, today's craft is another monogrammed project. How fun is this? 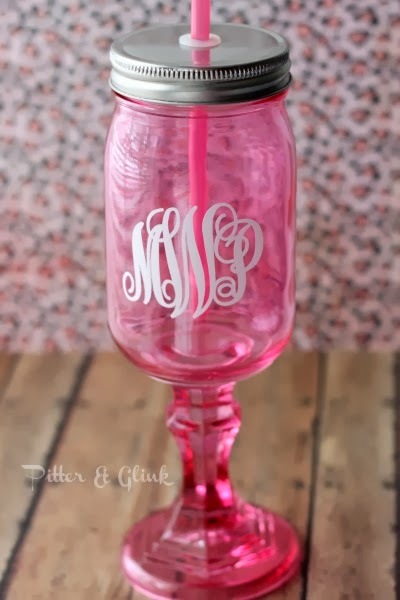 The monogram totally completes it! 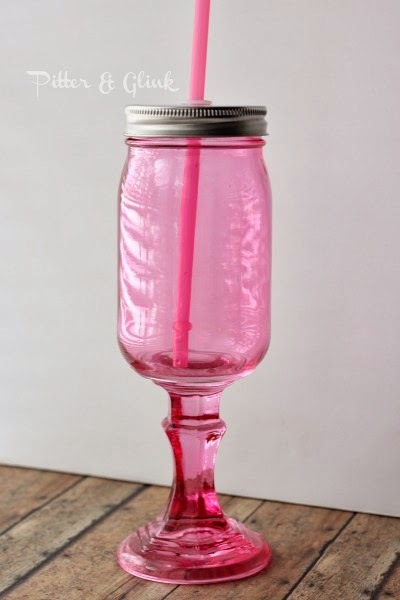 So you bought the jar pink? You didn't dye it? Hi Bethany, Love the pink glass. I haven't seen them in pink or else I would probably buy one! I love the monogram on it. I think it looks more finished that way. I've been making these jars for a few years now and give them as teacher gifts. I generally fill them with candy. My son's teachers have loved them. :-) I keep a few pre-made ones stashed away so if I need a quick gift, I can give one of my jars. That is pink and fantastic. 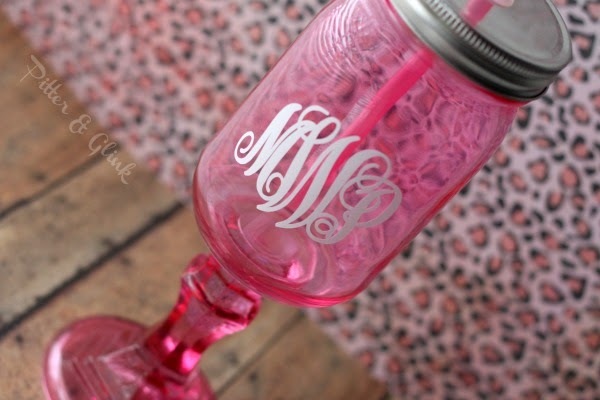 I think everything is better with a monogram and, of course, the color pink.